There’s so much to see and do at the Disneyland Resort – including two Disney Theme Parks filled with magic, plus all the dining, shopping and entertainment opportunities in the Downtown Disney District. Ready for more? You’ll find dozens of popular Southern California attractions just a short drive away in any direction! Choose from 3 types of 1-day 1-park theme park tickets. Tickets are priced by Peak, Regular and Value seasons. *The 2-Day 1-Park Per Day Ticket entitles Guests to admittance to either Disneyland Park or Disney California Adventure Park each day for 2 days. This ticket is not valid for visits to both theme parks on the same day. The 2-Day 1-Park Per Day Ticket expires 13 days after first use or on January 12, 2021, whichever occurs first. Each day of use constitutes one full day of use. Subject to restrictions and change without notice. **The 3, 4, and 5-Day 1-Park Per Day Tickets with Magic Morning entitle Guests to admittance to either Disneyland Park or Disney California Adventure Park each day for the specified number of days. The tickets are not valid for visits to both theme parks on the same day. These tickets expire 13 days after first use or on January 12, 2021, whichever occurs first. Each day of use constitutes one full day of use, and tickets are subject to restrictions and change without notice. Each ticket includes one Magic Morning early admission to select attractions at Disneyland Park one hour before the park opens to the general public on most Tuesdays, Thursdays or Saturdays. Each member of your travel party must have a valid theme park admission ticket for Magic Morning entry. To enhance the Magic Morning at Disneyland Park experience, it is strongly recommended that Guests arrive at least one hour and 15 minutes prior to regular park opening. Magic Morning early admission is subject to capacity and cancellation. Applicable days and times of operation and all other elements including, but not limited to, operation of attractions, entertainment, stores and restaurants and appearances of characters may vary and are subject to change without notice. Other restrictions may apply. Choose from 3 types of 1-day Park Hopper Theme Park tickets which are valid for same-day admission to both Disneyland Park and Disney California Adventure Park. Tickets are priced by Peak, Regular and Value seasons. Our 1-Day Park Hopper Peak, Regular and Value tickets must be used by December 30, 2020, but the amount paid for an unused, expired ticket may be applied towards the purchase of a new ticket at the current price, so long as the new ticket purchase price is equal to or greater than the amount paid for the original ticket. Peak, Regular and Value validity dates continue to be added to the calendar from time to time, so please check back often. The dates assigned to each of these seasons and the number of days in each of these seasons may change from year to year. Visit disneyticketcalendar.com to view value, regular and peak dates for 1-day tickets. 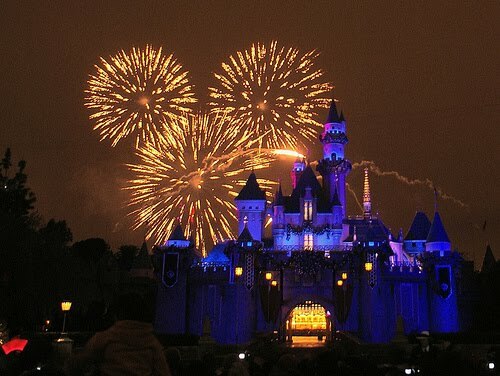 ***The 2-Day Park Hopper Ticket entitles Guests to admittance to both Disneyland Resort Theme Parks each day for 2 days. The 2-Day Park Hopper Ticket expires 13 days after first use or on January 12, 2021, whichever occurs first. Each day of use constitutes one full day of use. Subject to restrictions and change without notice. ****The 3, 4, and 5-Day Park Hopper Tickets with Magic Morning entitle Guests to admittance to both Disneyland Resort theme parks for the specified number of days, including visits to both theme parks on the same day. These tickets expire 13 days after first use or on January 12, 2021, whichever occurs first. Each day of use constitutes one full day of use, and tickets are subject to restrictions and change without notice. Each ticket includes Magic Morning early admission to select attractions at Disneyland Park before the park opens to the general public on most Tuesdays, Thursdays or Saturdays. Each member of your travel party must have a valid theme park admission ticket for Magic Morning entry. To enhance the Magic Morning at Disneyland Park experience, it is strongly recommended that Guests arrive at least one hour and 15 minutes prior to regular park opening. Magic Morning admission is subject to capacity and cancellation. Applicable days and times of operation and all other elements including, but not limited to, operation of attractions, entertainment, stores and restaurants and appearances of characters may vary and are subject to change without notice. Other restrictions may apply. Please remember the payment card(s) you use during your purchase today. As the purchaser of Disneyland Resort Tickets and Passes, you will be asked to show your payment card(s) and a valid government issued photo ID when you enter the Disneyland Parks. Failure to produce proof of purchase may result in denial of admittance to the theme parks, and/or denial of other rights and entitlements. Applicable theme park, days and times of operation and all other elements including, but not limited to, operation of attractions, entertainment, stores and restaurants and appearances of characters may vary and are subject to change without notice. Subject to capacity and other restrictions. Tickets may not be sold or transferred for commercial use. Offer may not be combined with any other ticket offer, discount, or promotion. All offers, events, tickets, age ranges, services, attractions and entertainment may be seasonal and are subject to change without notice. Ticket products, price and entitlements available online may be different than the Box Office. No Interest Financing is Available to ALL California Residents on Annual Passports. Contact Kevin at Wish Upon A Star Travel to book these packages at (559) 759-9492 or via E-Mail. They are our preferred Authorized Disney Vacation Planners!! Great question!!! You would be purchasing a new Annual Pass and the date would go through one year from the date of purchase. If you have any questions, please feel free to contact us. If you purchase an AP online, you will print out a paper ticket to receive your AP when you visit. It is valid from the first date used. If you have any further questions, do not hesitate to ask. You can still get yesterday’s prices for the Disneyland Resort today! Last year when prices were raised there was about a 3-week period where the gift card section at grocery stores & the Disney Store carried the tickets & annual passports at the old prices. If you have the money to spend on tickets and passes for a trip later in the year, the tickets & passes sold at grocery stores should be valid until 12/31/14. Be quick & good luck! I am so irritated! My daughter and I were just at Disney last month and we upgraded our tickets to the so cal passes so we could go on sundays, was planning on taking my 2 boys in September and purchasing the same passes. Now they won’t be available? So now what my only option is to buy them the lower passes which they can’t go Sundays even though I pay for mine specifically for that or pay more for their passes even though we won’t go THAT much? I feel they should’ve given a heads up of some sort! !